The defeat of Hillary Clinton: did it enable us to avoid a Third World War? The election of Trump in the United States is considered as a disaster by those concerned with human rights, and those concerned about the rise of fascism throughout the world, as detailed in other articles. However, for some observers, normally respected for their historical wisdom, it could have been even worse for the world if Clinton had been elected. Had she been elected we risked further confrontation with Russia and perhaps a nuclear war that would destroy the earth. How close have we come to destroying the planet in a nuclear war? 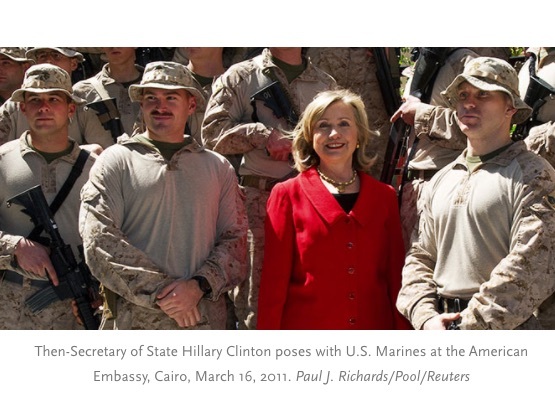 As Secretary of State in the first term of Obama, Hillary Clinton was personally responsible for the unprovoked attack and overthrow of the legitimate government of Libya in 2011, and the covert support for forces to overthrow the legitimate government of Syria. And perhaps most dangerous of all, it was the team that she left at the Department of State and the CIA that was ultimately responsible in 2014 for the support for a right-wing regime change in the Ukraine and the subsequent civil war with the pro-Russian region in eastern Ukraine, a direct provocation of Russia. 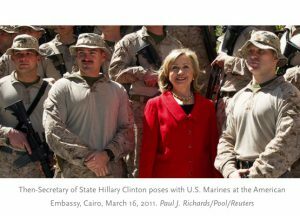 A long and detailed history of Hillary Clinton’s militaristic approach has been compiled by Stephen Zunes in The Cairo Review of Global Affairs.